the new and improved edition. It includes The Mating Heat, the prequel to my Werewolves of Montana series. You can’t get an epub version except for Instafreebie, but the mobi for Kindle is now available on Amazon. 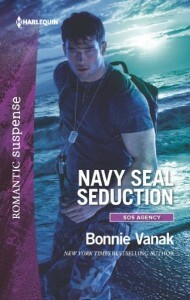 Navy Seal Seduction is now available! My first romantic suspense novel from Harlequin is now available in print and ebook. It’s the first in a triology of Navy Seal books about Project SOS. Books and Spoons gives Navy Seal Seduction four spoons!